When it comes to technology, many businesses understandably want more, more, more. Each day, there are not only updated versions of old technologies on the market, there are also new inventions coming along all the time. 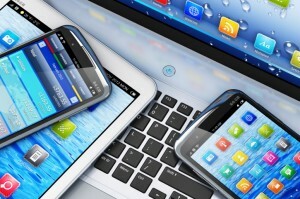 Who could have imagined the tablet only a few years ago, and yet now, it’s an indispensable piece for many operations. Most companies use this new technology to improve productivity, communication, or some other function that’s not client-facing. Very often, the incredible advances made aren’t fully leveraged as customer communications tools, whether at the front end or the back end. New products can help improve your business’ bottom line, and it makes sense to implement them at all stages to make for a more convenient customer experience. Customer satisfaction is crucial in today’s marketplace. The W. P. Carey School of Business at Arizona State University recently released a survey of customer satisfaction across the nation, a regular study that’s been conducted since 1976, according to ASU News. The latest release noted that more than 56 million Americans had a problem with a business in the past 12 months, even though companies have invested large sums of money to improve customer service. And the message is clear, according to Mary Jo Bitner, who helped to design the survey. So what exactly is “doing it right?” Bittner notes that it’s not about an open embrace of technology, as improving technology has not seen improvements in customer satisfaction – that metric remains at the same level as when the first survey was conducted nearly 40 years ago. The things Bitner noted most frustrate people are automated response menus, too few agents and a complete lack of response. It’s essential to get these problems solved. After all, if customers were left unsatisfied with the resolution, they told almost twice as many people, doubling the bad publicity. The easiest problem to solve is responding. Companies have a wide variety of outlets for this, including Facebook, websites and phone lines. Ensuring all of these are constantly monitored with sufficient staff is crucial. Facebook and Twitter, for instance, are quickly growing as channels people use to try to clear up problems. The danger in being understaffed is that issues can arise and swell very quickly. If you do not have someone watching social media, then your brand could be at risk. Similarly, if your phone lines are consistently swamped, a long wait is almost as bad as no answer at all. People who have to wait hours to get in touch will almost certainly be left with a bad taste in their mouth no matter what happens next. If you can’t ramp up staffing, then embrace other technologies. Many times, customers will have a variety of similar problems, and these have become easier than ever to preempt in the digital age. In the early days of the Internet, it was challenging to answer these with anything other than a section of Frequently Asked Questions. Today, we can use more advanced options such as videos channels on YouTube or a similar venue in order to ensure recurring questions can be solved without having to contact the company every time, as Salesforce notes. Webinars offer similar possibilities, and many companies are embracing these at a higher rate in both marketing the business and responding to problems. Of course, we can’t preempt everything – and at some point, technology used to respond to complaints must be optimized. A decade ago, there was little more than phone or email, but now there are new options. And that’s important, because response time is central to the experience of customer service. An increasingly popular option is live chat on websites, potentially outsourced to a different network. Some companies even offer such services 24 hours a day, meaning that there is almost no lag even in the middle of the night. Of course, this may not be a relevant concern, depending on what sector you work in – but for those who have clients or customers who could at any time require assistance, it can often be a saving grace to allow them access to help in the middle of the night. Beyond live chat, some companies have instituted online video chat. It can be a more complex tool, but also a far more personable experience for your clients. Amazon, for instance, has such an effort in place that it shows off on its new Kindle commercials, as a smiling woman has a quick and easy interaction with a confused customer. This is the ideal for all interactions – immediate response, quick resolution, and above all, human. It may be more difficult for your company to have such tools in place, but the reduction in customer effort can make a big difference. 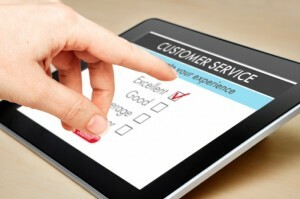 What technology have you used to improve your customer service? Frankie Saucier is the Senior Manager of Social Media with the corporate Cox Communications social media team. She is responsible for strategy and execution of the enterprise-wide customer support presence in social media, including Facebook, Twitter, YouTube, LinkedIn, Google+ and the customer support forums on the Cox website. Recently, TVBlog named Cox communications #2 of the Top 10 most socially devoted brands, based on data from Socialbakers indicating our Customer Support team had a 93.5% response rate to customer inquiries on social media. Frankie is also a member of a cable partner consortium that discusses current issues in social media. 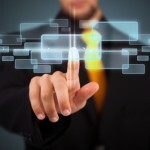 There is almost no aspect of the modern business that's independent of technology.